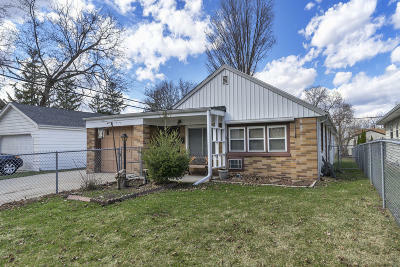 Nice stairless ranch comes to market featuring 3 bedrooms, 1 bath, with RARE total 3.5 car garage(s). Nice sized fenced backyard. Home is near Roberta Park & within walking distance to nearby schools! Plenty of storage with the extra deep 1 car attached garage (23x12) & a huge 2.5 car detached garage (23X23) with side driveway to store all of your toys. Great shopping at the 'Shoppes at Fox River' and only a short drive to Mikooka Park! Don't let this opportunity slip by.